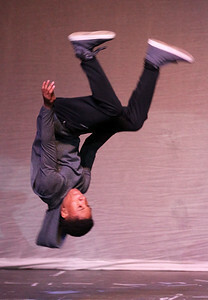 Candace H. Johnson-For Shaw Media Jay Jenkins, 15, of Fox Lake jumps high as he performs a dance routine to the song, "Getting Over You," during the Variety Show at Grant Community High School in Fox Lake. 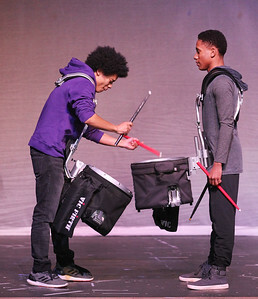 Candace H. Johnson-For Shaw Media Marc Bennett, 17, of Round Lake Beach and Jay Jenkins, 15, of Fox Lake play their drums during the Variety Show at Grant Community High School in Fox Lake. Candace H. Johnson-For Shaw Media Leila Manthi, 17, of Round Lake Beach pulls a stuffed animal out of a hat as she performs with two other Master of Ceremonies during the Variety Show at Grant Community High School in Fox Lake. 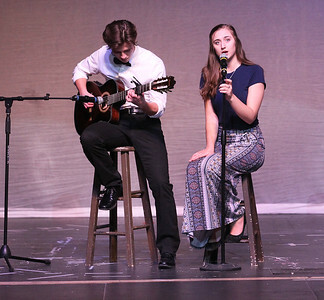 Audrey Sampson, 14, of Round Lake and Isabella Ehresman, 17, of Ingleside were also on stage with Manthi. 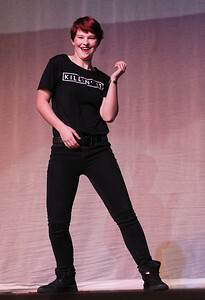 Candace H. Johnson-For Shaw Media Lindsay Dobson, 16, of Fox Lake dances to pop music in the finals during the Variety Show at Grant Community High School in Fox Lake. 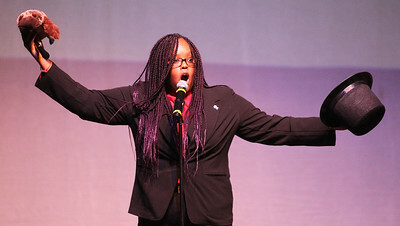 Candace H. Johnson-For Shaw Media Madai Duran, 17, of Fox Lake sings, "Seven Nation Army," in the finals during the Variety Show at Grant Community High School in Fox Lake. 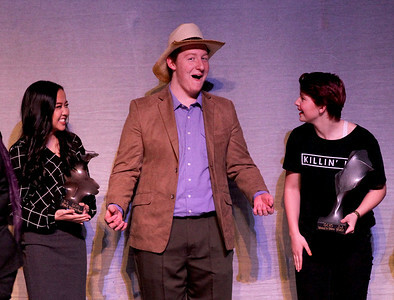 Candace H. Johnson-For Shaw Media Jack Myers, 17, of Fox Lake (center) reacts as he found out he won first place in the Variety Show after singing the song, "She Taught Me To Yodel," at Grant Community High School in Fox Lake. 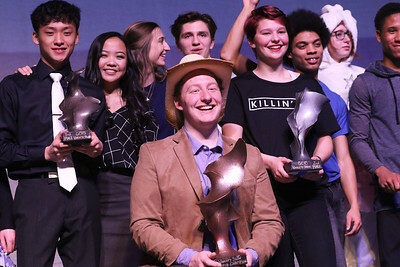 Rane Victoria, 17, of Round Lake and Lindsay Dobson, 16, of Fox Lake stood beside him and also took home awards for their performances. 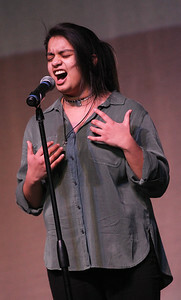 Candace H. Johnson-For Shaw Media Jack Myers, 17, of Fox Lake sings "She Taught Me To Yodel," during the finals of the Variety Show at Grant Community High School in Fox Lake. Myers came in first place. 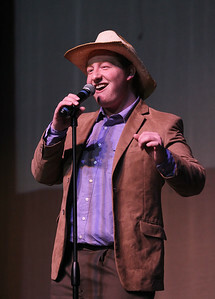 Jack Myers, 17, of Fox Lake sings "She Taught Me To Yodel," during the finals of the Variety Show at Grant Community High School in Fox Lake. Myers came in first place.